Archbishop Timothy P. Broglio, J.C.D., gave the homily at the 2018 Memorial Mass for Father Capodanno in the Crypt Church of the Basilica of the National Shrine of the Immaculate Conception in Washington, DC. On September 4, 2018, the anniversary of Father Capodanno’s heroic death in Vietnam, the annual Memorial Mass was held at the Basilica of the National Shrine of the Immaculate Conception in Washington, DC. 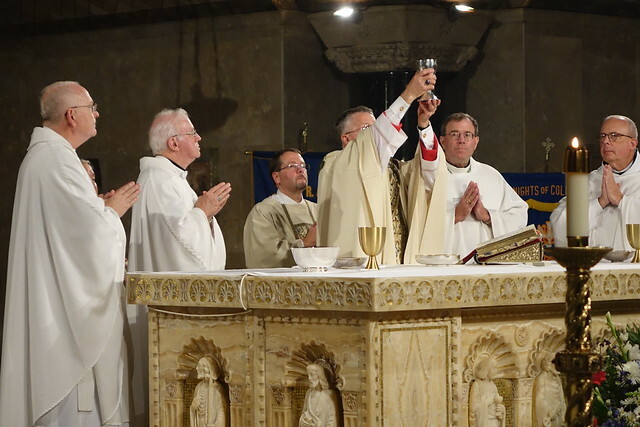 Read Archbishop Broglio’s full homily. This entry was posted in Events, Latest News, News by Margaret Betit. Bookmark the permalink.